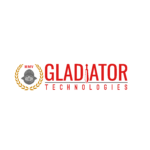 View our Gladiator Technologies Brochure. Nearly all of our standard products are export categorized as US Department of Commerce ECCN7A994 (NLR). Since 2008 our QMS has been and is now certified to AS9100C with design and ISO9001:2008. 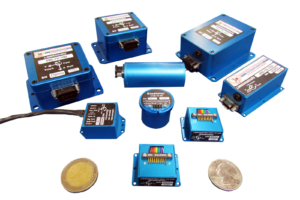 Gladiator Technologies Division's hallmark is our comprehensive line of high performance and robust inertial sensors and systems with industry leading low ARW noise, superior bias and scale factor performance over the full operating temperature range, low axis alignment and g-sensitivity . Our systems are feature rich and include high speed RS422/RS485 and CANBUS outputs along with available Software Development Kits (SDK) and C-Code Library to optimize and ease user system integration. Our manufacturing capabilities employ both Lean Manufacturing and Six Sigma tools with several of our staff either Black Belt or Green Belt certified. Our repeatable manufacturing systems have fully automated environmental conditioning and calibration test equipment scaled for high volume production. A comprehensive ERP suite is utilized for all company processes and includes bar code labor costing, electronic record archiving, automated reporting and analysis, MRP, Repair, Finance, Shipping and CRM modules. Visit http://www.gladiatortechnologies.com for more information.